…to this day Marc and Alice Davis were hosting a garden party for family and friends to celebrate Marc's 80th birthday. As you can imagine I was looking forward to the event, but didn't want to show up to congratulate Marc with a store bought card. 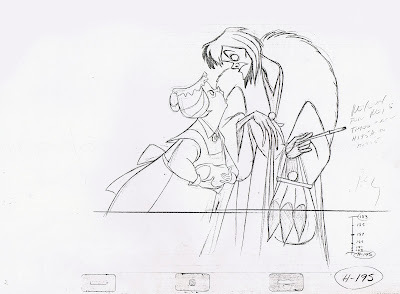 So I came up with this illustration in which Jafar invites Maleficent to a dance. 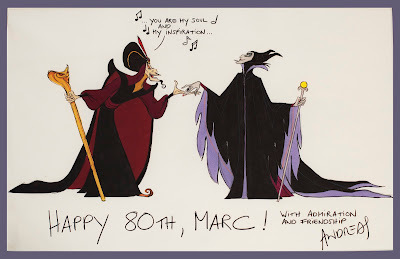 I added lyrics from an old song in order to point out that Maleficent had an influence on the way I designed and animated Jafar. Simple, clear lines and shapes, resulting in a stylized design for the character. The photo shows me presenting the drawing to Marc, who seemed to get a kick out of it. That's animation historian Charles Solomon in the middle. 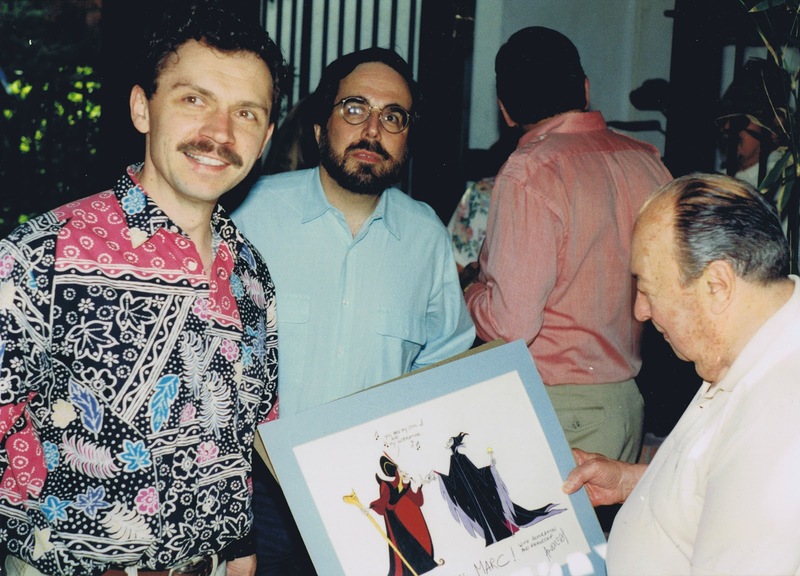 In this clip from an interview from the late 1980ies Marc talks about how he developed Maleficent. One thing about his calm and kind demeanor, behind all that is a forceful artist with brilliant judgement and strong opinions. If you asked him a question he would always tell you what he honestly thought, but unlike Milt Kahl, Marc did it with a tone of patience and composure. Marc, you are greatly missed. Happy 100th birthday! 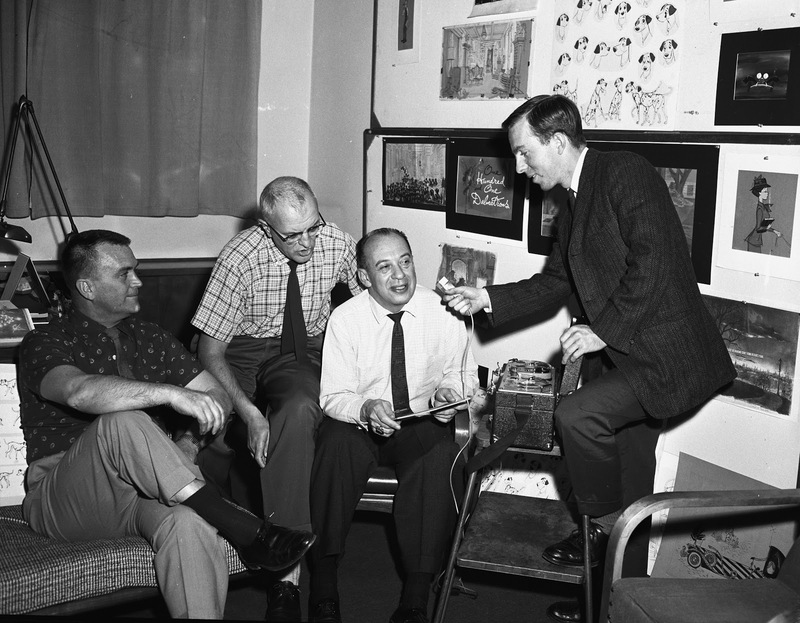 A great photo with Marc Davis, Milt Kahl and Ken Anderson being interviewed, possibly for a radio program. Marc is doing the talking, but it looks like Milt is trying to get a word in. 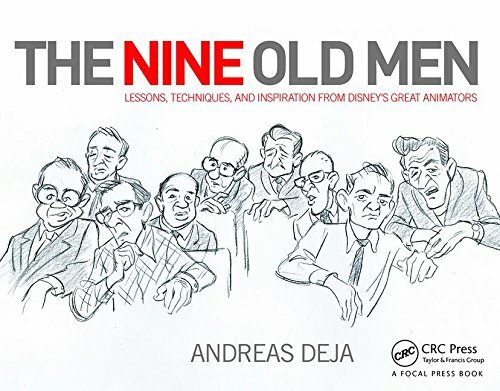 These guys are at the top of their game, and the animators couldn't be happier, because for the first time they would see their own drawings on the screen thanks to the new Xerox process. 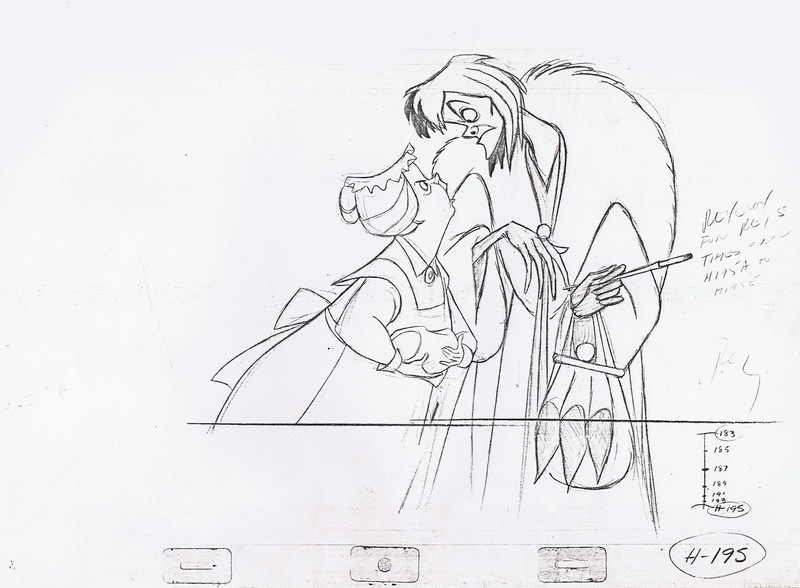 I cannot even imagine this film being inked, just look at the vitality of the line in this gorgeous scene. 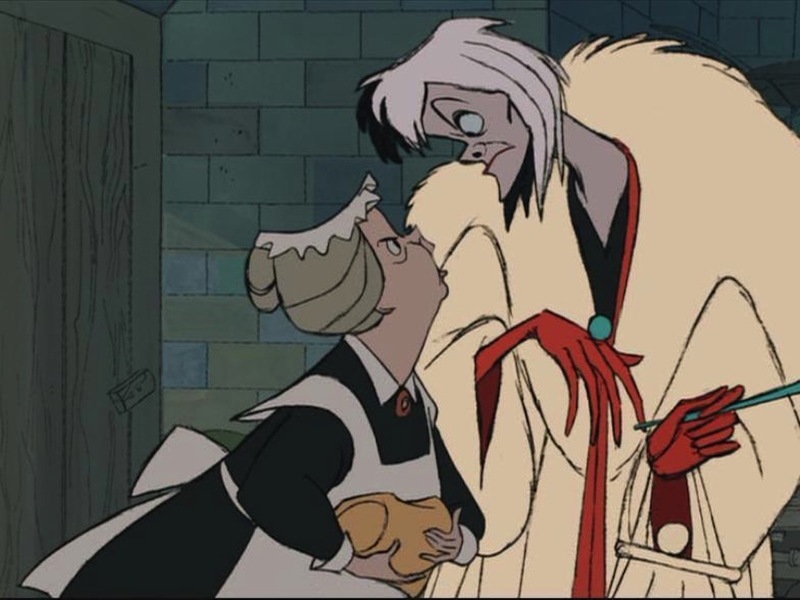 Cruella is facing off with Nanny, who is holding her own in this confrontation. An incredible composition for these two characters, full of personality in this one frame alone. Stay tuned for Marc's official birthday post in a few hours!